I'll go along with the general consensus on this one; It sort of lacked something. No frightening plot twist. No insight to the killers mind. Not even an interesting motive. Kay did a lot of thinking. About everyone. All the time. for 99.9% of the book. There were multiple crime scenes, but none really stood out, none gripped your imagination, when you compare to PC's previous novels. It wasn't creepy, nail-biting, or really shock-inducing at all. It wasn't bad, but it wasn't Body Farm or Point of Origin. 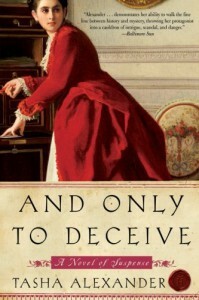 PC always writes competent novels. 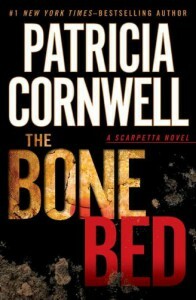 Fact-checking, Kay Scarpetta will always be readable. This particular one seemed a little flat for me. There were no zombies to fend off, no hostile alien take-over, no invading foreign country, but I really enjoyed this journey into a totally plausible dystopian future. The beginning took a little umph to get off the ground, but get past that and you have a young woman struggling to deal with a disappearing new spouse, sneaky step-children, a killer virus, and a domineering mother. Oh, and did I mention the world has gone to hell? While the plot didn't go exactly as I thought/wished it would - there were some nice twists- I think that's exactly what would happen. Nothing ever goes as planned. So, some survivors were nice, some were infinitely kind, others were crazy hoarding fiends. Not perfect, but the world we live in. My rating is all for the language. 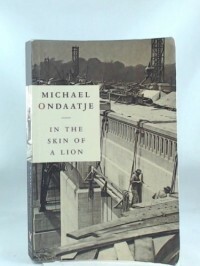 "In the Skin of a Lion" reads like fingers through your hair, mesmerizing, sweet and addicting. The plot lost me several times, Who was the man... Why in the world did he... ? But, I enjoyed the reading. 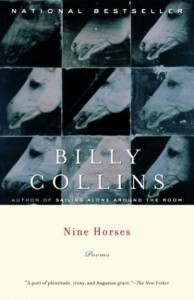 Billy Collins poetry feels effortless, but beneath the surface is always something stronger, more precise, calculated. Whenever I read Collins I find myself smiling, just near the end, when his effort pays off. Smiled a lot reading this book. 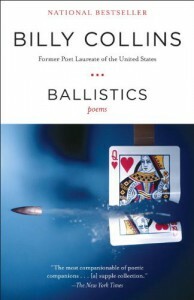 Amazing collection of poems! For non-poetry reading friends, I'd say read this, now. There's no rhyme, no difficult language, no pretentious ideas, just simple language from a regular guy. Billy Collins captures the basic feelings we all have and words them with a sweet frame of reference. 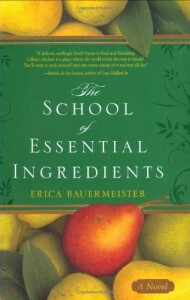 Interesting stories about the students of a gifted cooking teacher. If you like food and recipes, with a little mystical magic, you'll like this light fiction. 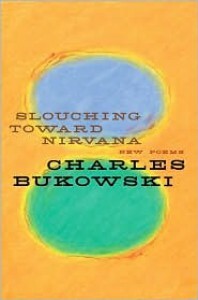 This was my first Bukowski poetry book. I had read a few snippets of his work here and there and it intrigued me. His profanity, his bluntness, his (misogynistic is so over used) base view of women. Yes, he was a drunk, a gambler, a womanizer... and it made for great poems. This book wasn't full of great poems. 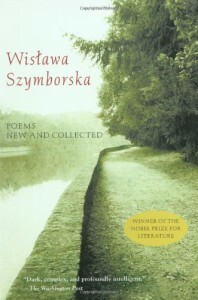 Published after his death, it had good poems and a few great poems. I'd like more Bukowski for poems such as ; something's knocking at the door , this one, surreal tangerines... a few of my favorites. 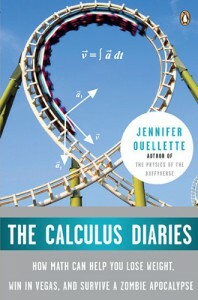 Ouellette uses a humorous approach, relate-able stories, and history to tell about the practical uses of calculus. Did you know that the process of "balancing" in Algebra was invented more than 1000 years before the equal sign? I was fascinated to learn about Cartesian coordinates, vectors and then how the Mad Tea Party ride works. (It's dueling vectors that make it really fun!) I was also interested by the modeling for infectious disease. Based on the black plague and "Dawn of the Dead", rate of change and derivative calculus, I know we either have to defeat the Zombies right at the start, or hide out at the mall if we hope to survive! Now, if you are a mathy (read-serious math)person. This is probably not the book for you. But, if you've ever wondered how all that dumb math they made you learn is ever going to apply to anything, then you might enjoy this read. I'm also a fan of history, so learning the origin of these ideas was interesting too. Okay, the second book left, me (the reader) at such a BIG cliffhanger, I went out and bought the third book and read it in a day. Very good!! I'm a happy endings girl, and I was pretty satisfied. 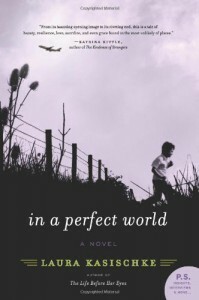 Of course there were a few sad surprises, and it didn't have the perfect happy ending, but great story, great ending, great trilogy... Books like this are one of the main reasons I like teen lit better than a lot of adult fiction. 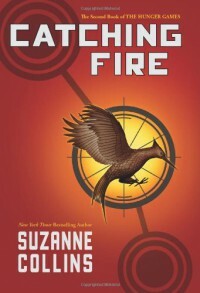 I read to page 90 the first day of Fall semester and had to set it down to concentrate on class, but Hunger Games kept calling me. Finally, Friday night, I gave in and read until 2am. Great idea/plot, lovable characters, futuristic but believable... I can't wait to read the next one! 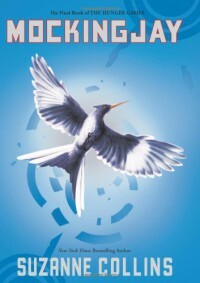 I need to know what happens between Katnis, Peeta and Gale. I may even go buy it today! 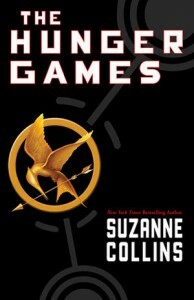 I read the second book first (because I picked it up for $1.oo at a clearance sale!) 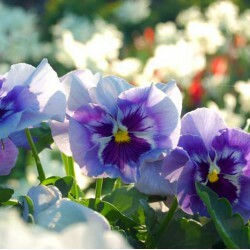 and liked it, so I got this one and was just as pleased! Good things: The constant foreshadowing of Marmee Noir and Belle Morte are leading up to something big. Anita finally tires of Richard, (I've been tired of him for the last six books) and forces him to choose in a decision that could cut him off from the protective power of their triumvirate. Also, Shapeshifters unite! (in an unforseen way). Edward is back and he brings the best help ever! I loved the vampire heart scene. Bad things: Anita still over-thinks things. In the heat of battle, negotiation, decision making... everything has to stop for a dozen pages where Anita has to have everything explained to her piece by piece. And, every piece must be debated. (Anita! If you've been around these people for years now... don't you have these conversations during "down time"? Prep time people! Use the times when monsters aren't banging on the door to examine the possibilities of latent talents and combined energies! UUgh!) Also bad, Jason!? Seriously? And, he just "leaves town"? Sorry, this one plot idea is as bad as "Breaking Dawn"- Jacob imprinting on Esme. It pretty much screams, "I couldn't figure out how to get the main characters out of this mess so... magic trick! Voila!" BLECH!